Installation of projected photographs borrowed from Francesco Guisti’s series of photographs “In case of loss”. 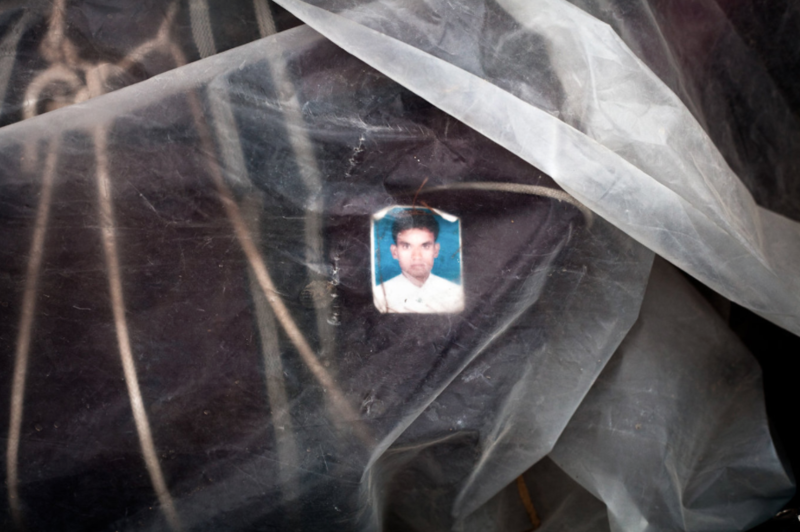 The pictures of Francesco Guisti, brought back from Lybia in 2011, are a testimony of the working-class exile, while in the middle of a revolution. The photographer focused his gaze on the luggage the people in exile brought with them, upon which are stuck the photography of their owners. This tiny sign suddenly reveals a face, a singularity, brings back the individual in pictures that become more metaphorical and symbolic than simply descriptive. Projected on the Spanish shore, these faces oscillate on the sand of a beach slowly covered by the rising tide. This entry was posted in projet003. Bookmark the permalink.